Simon Gerrans has announced his retirement from cycling for the end of the 2018 season. 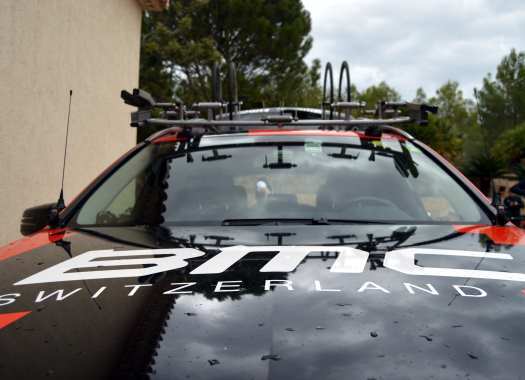 The rider of BMC Racing Team puts an end to a 13-year career. The Australian has decided to finish his career in the professional peloton at 38. "Although I feel that I am still performing at a good level physically, my passion for the sport is not what it used to be," said the rider through a letter. "Professional cycling is too hard unless you are able to commit wholeheartedly. I am really happy to be able to walk away on my own terms and feel that the end of this season is the right time to transition to a new phase in my life. "When I look back over my racing career, my fondest memories don't come from winning classics or grand tour stages, but the happiness and joy my victories created for the team and the people close to me. I also cherish the times when I was able to contribute to the personal success of my teammates." Gerrans thanked the teams of which he was part during his professional career: AG2R Prevoyance, Credit Agricole, Cervelo TestTeam, Team Sky, GreenEDGE and BMC Racing Team, and added that he's not retiring but "changing careers". "In the short term, I plan on spending some time with my family," he explained. "Family has always been the most important thing to me, but for the past 20 years, they have made great sacrifices and have been incredibly supportive of my career. I am now looking forward to giving my wife, Rahna, and our children, Oscar and Isla, my attention. "Over the past couple of years, I have received some really interesting career opportunities from within and outside the world of cycling. I hope to maintain an involvement with the sport in some capacity, however initially I am motivated to gain some experience and develop my skills in a new area. I hope that the skills and attributes I have developed and the networks I have built throughout my cycling career will provide a solid foundation to support this goal. The idea of getting out of my comfort zone and embracing a completely new career is daunting, yet excites me, and for these reasons, I know it is the right thing to do. "Finally, I would like to thank from the bottom of my heart all the supporters of cycling, sponsors, teams, teammates, friends and family that have made my time as a professional cyclist such an unforgettable chapter of my life."